Welcome To TechBrothersIT: SSIS - How To Find and Replace Text In SSIS Package/s? SSIS - How To Find and Replace Text In SSIS Package/s? A developer from our team stopped by and he asked me that he has used a Stored Procedure multiple times in a SSIS Package and want to replace with new name. I asked him that why do you want to change the name of Stored Procedure. His answer was that he did not follow the naming convention or company’s standards for TSQL Object name and now he realized that he need to change the Stored Procedure name in Database as well in SSIS Package. Once solution can be go to the SSIS Package and open each of the Execute SQL Task or any other tasks where you have used the Stored Procedure. This can be lengthy and tiring process. How about finding the Stored Procedure and just replace it? You will have the option to Replace the founded text in entire solution that may contain more than one SSIS Package. In my case I only want to replace in Current Document. 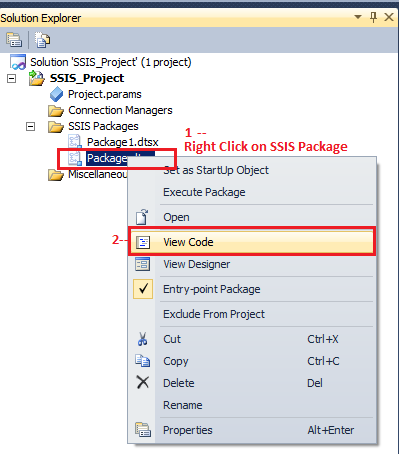 Once done, close the file and save the SSIS Package or entire solution with all SSIS Packages.